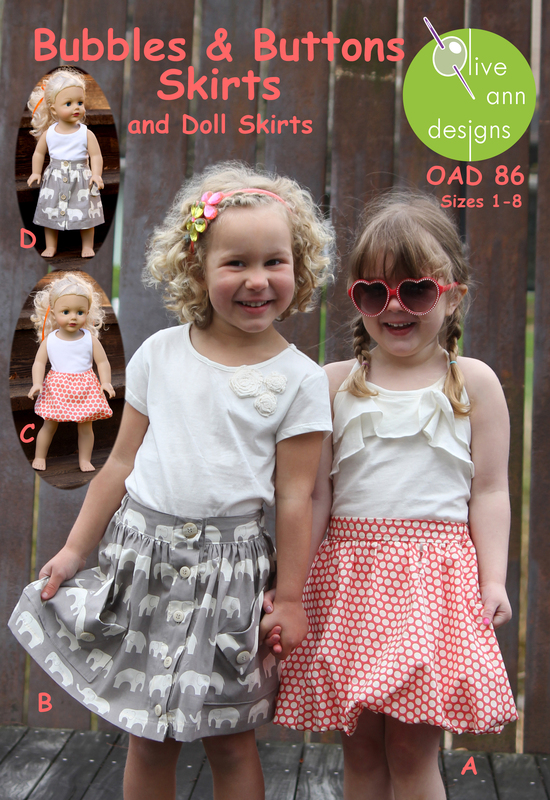 Dress up with your little one, you will both love it! The flattering A-line skirt can be made with 3 or 5 coordinating fabrics, 2 different finishing options and 21” or 23” lengths. Each skirt ‘piece’ can be made with an unfinished edge for a cute casual look or with the very easy finished ‘easy-curve’ edge for a more polished look. Skirt has back darts and side zipper. The stylish peasant top has an updated style for the sleeves and choice of a drawstring or elastic neckline. 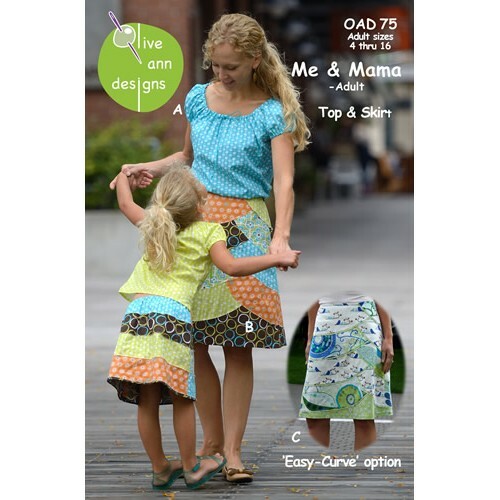 Coordinates with the Olive Ann designs Me & Mama (Child) pattern OAD74. 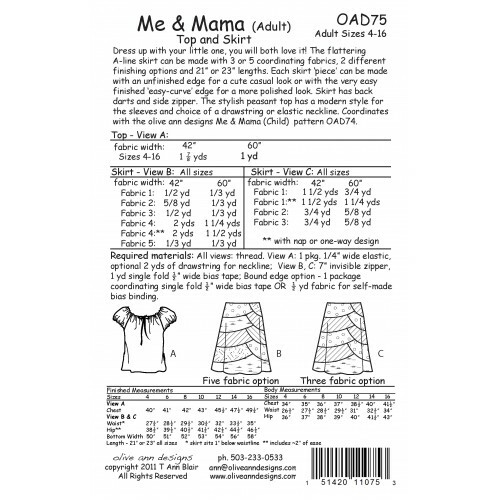 Available in tissue pattern with complete, detailed and easy to follow instructions.